Piaggio MP3 is the world's first 3-wheel scooter, the concrete response to the demand for easy-to-handle, extremely safe city vehicles to get about in the city or reach the city centre from the ever growing suburbs. The two front wheels and the exclusive patented suspension system, conceived and developed by Piaggio before any other global manufacturer, combine the safety of a car with the simplicity and practicality of a scooter and the fun of a motorcycle with dynamic riding on corners. This is why Piaggio MP3 is able to satisfy a truly global demand: from drivers looking for a more practical yet safe alternative to the experienced motorcyclist able to appreciate the advantages and technical features of a vehicle that has, on its own, created a new market segment of which it is the undisputed leader. “Two wheels ahead of the rest”: a definition which not only indicates the peculiar characteristic of Piaggio MP3, but also suggests technological superiority that the revolutionary Piaggio Group “three wheeler” has managed to affirm. Two front wheels to travel in total safety in any weather or road surface conditions and at the same time have fun riding just as on a conventional two-wheeled vehicle. For the first time, with Piaggio MP3, automotive safety meets motorcycle riding pleasure. In the wake of the great public success achieved since 2006, the year the first model was introduced, Piaggio has developed and implemented several versions and engine capacities to meet all daily mobility requirements: from the Yourban version, the most sleek and urban Piaggio MP3 model, to the LT (acronym for Large Tread) models that stand out for a number of characteristics such as the front track widened to 465 mm, motorcycle-type turn indicators, an LED daylight running light inserted in the upper part of the leg shield and the pedal on the footrest that activates the integral braking. Characteristics which allow the Piaggio MP3 LT, in the 300 and 500 cc engine capacities, to be ridden at any age as long as the rider is a normal car driver's licence holder (Class B)*. *Piaggio MP3 LT can be ridden in numerous countries with a car driver's license. For example, in Italy, France, Great Britain, Spain and some other European Union countries, this is possible pursuant to European Directive 2006/126/EC, as long as the rider is at least 21 years of age, rides in the national territory and complies with any additional national regulations. Piaggio MP3 is available in two different engine sizes (300 and 500 cc, Euro 4), each of which is available in two different versions – Sport and Business – to complete a true family three-wheeled vehicle that is capable of meeting any and all daily mobility needs. 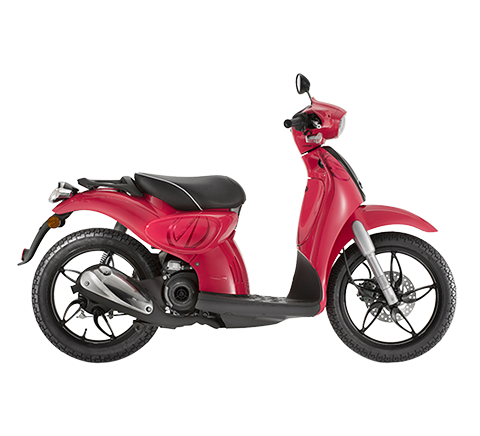 In this already wide range, now you can find the Piaggio MP3 300/500 Sport LT, an entry level version both for the 300 and 500 engine size which - simplified in its features – is available at an extremely competitive price for an even wider range of customers who want to benefit from all the safety content offered by three-wheeled technology. Piaggio MP3 500 (in its three versions: Piaggio MP3 500 Sport LT, Piaggio MP3 500 Sport LT ABS/ASR e Piaggio MP3 500 Business LT ABS/ASR) is now the flagship of the 3-wheel vehicle range supplied by the Piaggio Group. With power of 28.5 kW at 7250 rpm and torque of 45.5 Nm at 5000 rpm, it is fully capable of meeting any town, city or country mobility needs. Piaggio MP3 300 (available in the Piaggio MP3 300 Sport LT, Piaggio MP3 300 Sport LT ABS/ASR and Piaggio MP3 300 Business LT ABS/ASR versions) maintains all the aesthetic and technical characteristics that place Piaggio MP3 a step ahead of the competition, combining it with a high performance engine and reduced consumption. 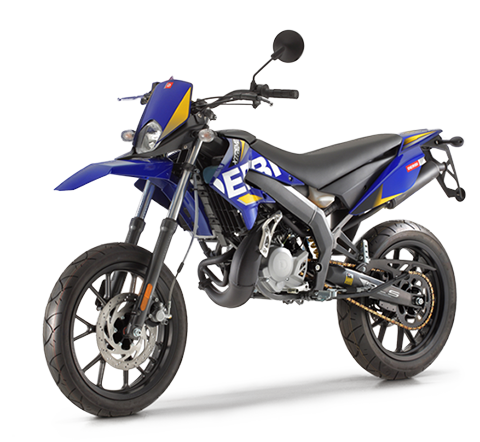 The 300 cc 4-stroke, 4-valve, liquid-cooled engine with electronic injection delivers maximum power of 15.5 kW at 7250 rpm, with a torque output of 22.5 Nm at 6000 rpm. These are figures that translate, on one side, into excellent response in acceleration during constant city stop-and-go riding and on the other into a top speed which is more than capable of handling motorway riding, guaranteeing the possibility of long range travel in total comfort. The Piaggio MP3 frame was been designed with the dual objective of providing, on the one hand, excellent riding stability and precision and, on the other, a wider range of uses. The project meets these two important requirements, creating the best Piaggio MP3 ever built in terms of dynamic qualities, safety standards and comfort for rider and passenger. The saddle boasts sumptuous characteristics: flat and comfortable for two people to sit on, an improvement on the earlier generation of the Piaggio MP3. The ergonomics benefit from this, starting from the position of the legs, extended and relaxed. In particular the perfect triangulation handlebars-saddle-footplate is sized to make riding easier and provide total vehicle control. And it's not only the rider who benefits. Designed as a true alternative to the car, the latest generation of Piaggio Mp3 provides the passenger with even high comfort: there is plenty of available space, whereas the seating position is relaxed, in addition to benefiting from the advantages of the retractable footpegs. The large compartment under the seat, fitted with courtesy light and mat, has additional uses, due to the regular, almost rectangular shape, without indentations or partitions, so every square centimetre can be used, for example to store two full-face helmets or a laptop holder. The saddle, which can also be opened using the Bike Finder remote control (making the turn indicators flash), opens electrically, as usual, and it is assisted by a convenient shock absorber strut that accompanies the seat opening movement in a practical and safe way. The flat streamlined tail for an easily assembled box (just one of the many accessories available), further increasing the already exceptional load capacity of the Piaggio MP3. The Piaggio MP3 is the first three-wheeler in the world equipped with an ABS antilock braking system, integrated with ASR (Acceleration Slip Regulation) traction control. The ASR system is an electronic traction control device regulating the driving wheel slippage. The ASR can be switched off simply and it guarantees safety by preventing the slippage of the rear wheel on slippery or wet roads and uneven surfaces, for excellent rear tyre grip and road holding in all conditions. The Piaggio Group is the first manufacturer to use traction control for a scooter, a technological first developed in-house, based on racing experience and subsequently adapted and built into street vehicles. The ABS system takes safety to the highest possible levels, preventing the wheels from locking up in braking, a phenomenon which has in any case been vastly reduced by the presence of the double front wheel that ensures much better grip than a traditional scooter. Developed specifically for the Piaggio MP3, it uses a Continental control unit and three channels controlling the three wheels individually modulating only the braking force to prevent grip loss. Piaggio MP3 employs an all-disc braking system on the three wheels, with a disc diameter of no less than 258 mm. Greater safety and an even smoother ride are provided by large larger 13 inch diameter front wheels. The blocking mechanism of the front suspension, a distinguishing feature of the 3-wheel Italian scooter, transforms the balance of the Piaggio MP3 from dynamic to static. Start up the Piaggio MP3 and it stays in balance on the three wheels without the need for a stand (fitted nonetheless). To resume normal operation, accelerate or use the dedicated push button. This means you never need to put your foot in the ground and you can park the Piaggio MP3 anywhere, easily and without effort. The Piaggio MP3 has a modern and elegant look with evident hints of a motor car and a car-style refined finish and high perceived quality. In designing Piaggio MP3, the Piaggio Group Style Centre favoured modern and distinctive traits. The front shield recalls the original model but has a new form. The smoke-grey windshield provides protection and can be adjusted to three different heights. The headlights and indicators have high efficiency daytime lights with 7 high efficiency LEDs, adapted from the auto industry and modernizing the look of the front of the scooter. The wheel rims boast a new and elegant 5 split spoke design: reminiscent of saloon cars and luxury autos. The dashboard includes the set of modern instruments in two conventional round panels and a multi-purpose digital panel with data on fuel consumption (average and current), average and maximum speed, fuel gauge, travel time, ambient temperature and ice alarm. The instrument panel also includes a clock, total and trip counter and battery voltage reader. The 11 lights on the instrument panel display the functioning of the headlights, dipped headlights, indicators, reserve fuel, oil pressure, warning (injection), immobilizer, ABS, ASR (where present) and four emergency lights. In the centre part, just beneath the display, a series of 4 warning lights are placed which indicate: roll lock warning, engine shut-down, no roll and hand brake. Push buttons under the handlebars are to open the saddle and switch off the ASR (where present). The leg shield back plate has two anti-impact pads the colour of the saddle in front of the rider's knees. There is also a convenient, retractable bag hook. The compartment above the instruments has a drawer and USB connection, ideal for recharging a smartphone and any other enabled device. The line of the Piaggio MP3's tail is very streamlined and dynamic, elegantly truncated, highlighting the sports character of the Piaggio MP3, reflected in its exceptional road holding and tilt while turning. The surface finish is smooth, reinforcing the streamlined look of the vehicle, which has a highly dynamic appearance. The tail stop and position lights also benefit from LED technology. The parcel holder and passenger handle, in aluminium, complete the line of the comfortable saddle. The Piaggio MP3 is available in the entry level Piaggio MP3 300/500 LT and the Business and Sport versions, with dedicated equipment and colour schemes. 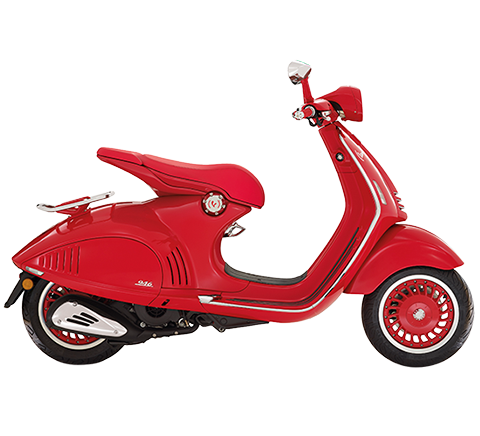 The new Piaggio MP3 500 Special Edition LT is also available. 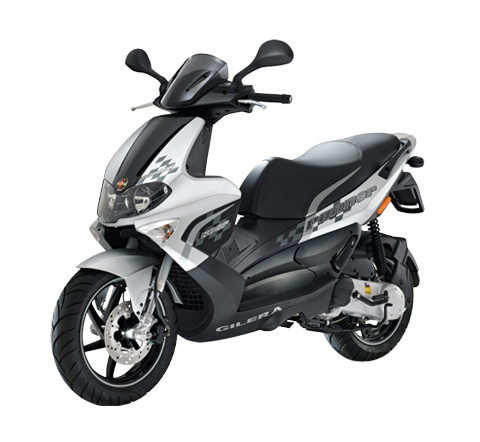 The entry level model of the Piaggio MP3 range is available in the two engine sizes (300 cc and 500 cc) in the Bianco Pastello and Nero Carbonio opaco colour schemes, both with black saddle in contrast with the wheel rims and passenger grab handles in matt grey. The Business version, elegant and city-friendly, characterized by a “Business” plate on the rear part of the tail, distinguishes itself through some prestige details, such as the chrome-plated exhaust pipe on the MP3 500, the new brown saddle with dual lining, and the finish in glossy grey of the wheel rims and the passenger grab handles. The elegance of Piaggio MP3 Business is highlighted by the two chrome-plated versions available: Bianco Iceberg, Nero Universo, a metallic Red and a metallic Blue. The Sport version of Piaggio MP3 is distinguished by the “Sport” plate on the rear of the tail and the numerous items with matt grey finish, such as the diamond edge wheel rims the passenger handles and moulding of the central tunnel. The black saddle of the Sport version is covered in two different materials and red stitching. There are four dedicated colour schemes for the Sport version: Nero Opaco, Grigio Opaco, Bianco Pastello and Verde Opaco. This is a new special version, born on the base of the sporty Piaggio MP3 500 Sport LT ABS/ASR, amplifying its character and exclusivity with numerous unique stylistic details including some which jump out immediately like the graphics that match blue details with others in carbon look and the gritty footplate with metallic inserts. Even the colour scheme is unique and dedicated: Grigio Titanio opaco. The blue graphic details also extend to the saddle (which also boasts new construction material) and the black wheel rims. The range of accessories for Piaggio MP3 is based on a precise design philosophy: to provide the maximum on-board comfort and maximum functionality in daily use, to make the life of the commuter easier with the Piaggio three-wheel scooter. Rear top box: with quick release and a 50-litre capacity, it is spacious enough for two helmets. The upper shield is painted the same colour as the vehicle and has a comfortable backrest to make the passenger's ride more enjoyable. The top box is also available in the 37-litre version. Heat-shaped panniers kit: sturdy and lightweight, they are fitted with a quick-release mechanism. Tunnel bag: is positioned conveniently behind the front leg shield. It has a 16-litre capacity and side pockets. The Style windshield: made in high quality anti-chip material, guarantees optimum protection from the air and foul weather. Leg cover: made specifically to guarantee maximum protection from the cold and rain on the Piaggio MP3. In the spirit of safety, the leg cover, thanks to being designed along with the vehicle, provides maximum stability even at high speeds. Heating module for leg cover: an element to be inserted in the cover and connected to the electrical system through a control unit. Adjustable to four different temperature levels. Heated handgrips: also controlled by a dedicated unit, they provide four temperature levels. Comfort-gel saddle: improved riding comfort, both for the rider and passenger, thanks to the gel inserts in the seating area. Piaggio Multimedia Platform: device that allows you to connect your smartphone to the scooter, transforming it into a true multimedia platform. TomTom Vio Piaggio Group Edition: The satnav for scooters with a waterproof screen and smartphone functions, driving directions at a glance, anti-traffic system and incoming call display. All this to let you move around more quickly and explore more easily, keeping your telephone stowed conveniently in your pocket. Bitubo shock absorbers: these increase comfort and vehicle stability in any riding conditions and on any road surface. Hydraulically adjustable in compression and spring preload. Aluminium footpegs: a touch of sportiness for every Piaggio MP3, made in lightweight and refined aluminium. Electronic anti-theft device: comes with remote control and siren to provide secure protection against theft. Mechanical anti-theft device: connects the saddle to the handlebar for even greater protection. Outdoor vehicle cover: protects Piaggio MP3 from foul weather. Multimedia support: useful for installing a smartphone or satnav bracket. The most agile and manoeuvrable version of Piaggio MP3 and Piaggio MP3 300 Yourban LT. The compact Piaggio three-wheeler 300 is ideal both for young people and executives who use a scooter to commute from home to work as well as for women looking for a safe and fun to ride vehicle. Piaggio MP3 300 Yourban LT upgrades to comply with the Euro 4 emissions standard, thanks to the four-stroke, single cylinder 300 cc engine with four-valve timing, high performance and truly contained consumption and emissions. Piaggio MP3 300 Yourban LT stands out for a number of characteristics such as the front track, widened to 465 mm, motorcycle-type turn indicators, the LED daylight running light inserted in the headlight unit and the pedal on the footrest that activates the integral braking. Piaggio MP3 300 Yourban LT confirms the winning characteristics of a model with outstanding lightness and essential looks that combines the unparalleled stability and safety of Piaggio MP3 with a frame architecture optimised for superior manoeuvrability and agility, making it the perfect solution for tackling city traffic with confidence with a vehicle that is also a joy to ride. 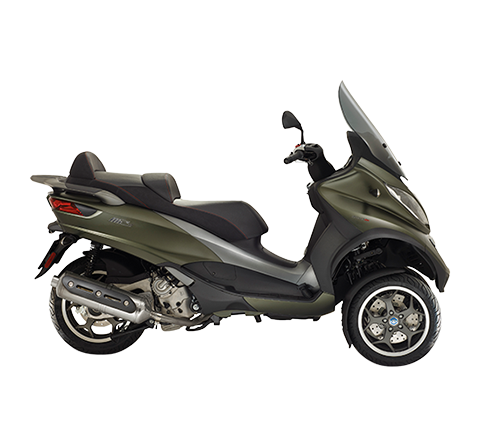 Piaggio MP3 300 boasts a youthful and sporty design. Every component has been studied in its every detail, both aesthetically and from a constructive point of view. The front view, made unique by the double front tyre, is dominated by the handlebar which integrates the powerful double dome headlight assembly, LED daylight running lights and is crowned by an efficient smoke grey top fairing. At the centre of the shield the brushed finish "neck-tie" characteristic is evident, a finish which recalls that of the alloy wheel rims and the silencer heat shield. The encircling and protective form of the mudguard in a solid colour to match the bodywork slims out the front view. A sleek and racy tail corresponds with the spirited front end, which elegantly combines two convenient handles for the passenger and finishes with the modern and painstakingly designed taillight, characterised by daylight running lights and a LED stop light. Elegant in its lines, Piaggio MP3 Yourban LT is also comfortable, functional and equipped with a comprehensive array of creature comforts and state of the art technological solutions. The saddle, with seating on two separate levels, integrates a comfortable rear support for the driver and is shaped in such a way as to allow for easy and safe reach to the ground and to ensure an extremely high level of comfort. The helmet compartment, extremely spacious, easily holds a full face helmet. A practical and discrete concealed bag hook finds a place in the leg shield back plate. The instrumentation is exhaustive and easy to read, thanks in part to the sophisticated pale blue lighting, and it offers complete information ready at a glance. The instrument panel is comprised of three circular elements (speedometer, water temperature and fuel level), a modern LCD display with odometer, digital clock, battery voltage and external temperature functions as well as a series of warning lights dedicated to the fuel reserve, high-beam, turn indicator, oil pressure, four hazard lights and injection system check. There are also warning lights for characterising Piaggio MP3 features such as the roll lock system, lock system fault and engagement of the parking brake. From a technical/dynamic point of view, the reduction of weight compared with the Piaggio MP3 of the same engine size is easily perceptible in manoeuvring both while stopped and in motion. This sensation of greater agility is even more evident on the move and especially during low speed manoeuvres, such as slaloms and rapid directional changes. On the move, the front end is more precise and offers even more feedback. The improvement is perceptible even after the first few yards in the saddle: you almost forget that there are two wheels at the front, and instinctively ride it like a normal scooter. The quadrilateral articulated front suspension system and the double front wheel are unique and distinctive elements which make riding the Piaggio MP3 an absolutely revolutionary experience, providing the rider with riding stability in curves more than any other scooter, benefiting from excellent road holding which can be felt in all of its importance on wet asphalt or in poor grip conditions. The compact dimensions and agility of the Piaggio Mp3 300 Yourban LT also make parking and manoeuvring from a standstill extremely simple, even for female riders. This is also to the credit of the electric-hydraulic suspension block system which allows parking without the need for a stand support, offered as standard. Piaggio MP3 300 Yourban LT comes with a single cylinder 300cc 4-stroke, 4 valve electronic injection engine compliant with the Euro 4 emissions standard which provides a maximum power of 15.5 kW (21.1 HP) at 7250 rpm and produces torque of 22.5 Nm at just 6000 rpm. With such specs comes a throttle response to match, coupled with feisty performance, making it ideal both for tackling congested town traffic and for mid-range touring in full comfort, whether riding solo or two-up. 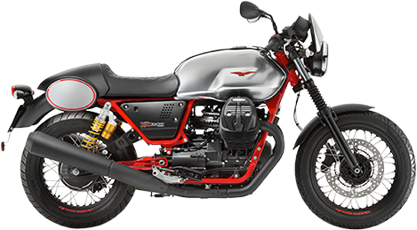 Piaggio MP3 300 Yourban 300 LT is available in two elegant colour schemes, Nero Cosmo and Rosso Ibis, both glossy finish and matched with black embossing and saddle. 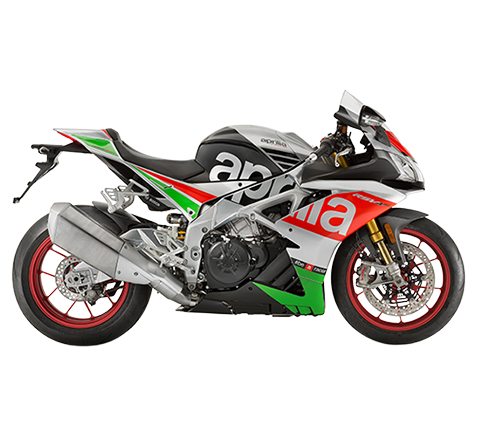 There is also a Sport version available which can be picked out by the glossy black body finishing, black wheel rims, black silencer heat guard and saddle with red stitching. There are two MP3 300 Yourban Sport LT colour schemes: Grigio Titanio Opaco and Bianco Luna. Piaggio has created a vast range of dedicated accessories offering almost endless scope for personalisation and for enhancing the comfort of the vehicle. Quick release top box: spacious enough for a full face helmet, it includes a backrest for the passenger, made in the same material and colour as the saddle. The cover is colour coded to match the vehicle. Windshield: available in two sizes (medium and high), it is made in 4 mm thick, extremely high quality, impact resistant, chip resistant metacrylate. Transparent hand guards: made from impact proof polycarbonate with a protection slider. Leg cover: practical and quick to put on, it guarantees great protection against foul weather. Outdoor vehicle cover: made in black waterproof material with thermobonded seams, Piaggio logo, reflector strip and clear window for license plate. Comfort-gel saddle: increases riding comfort thanks for the isothermal gel inserts in the seating area and the increased lumbar support. E-Power electronic anti-theft system: comes with electronic key and two-button remote control. Saddle-handlebar mechanical anti-theft system: extremely simple and effective, it restricts the handlebar to the vehicle using a fastening system locked to the body. Practical, clean, quick, safe, convenient.